The winter season is here again. 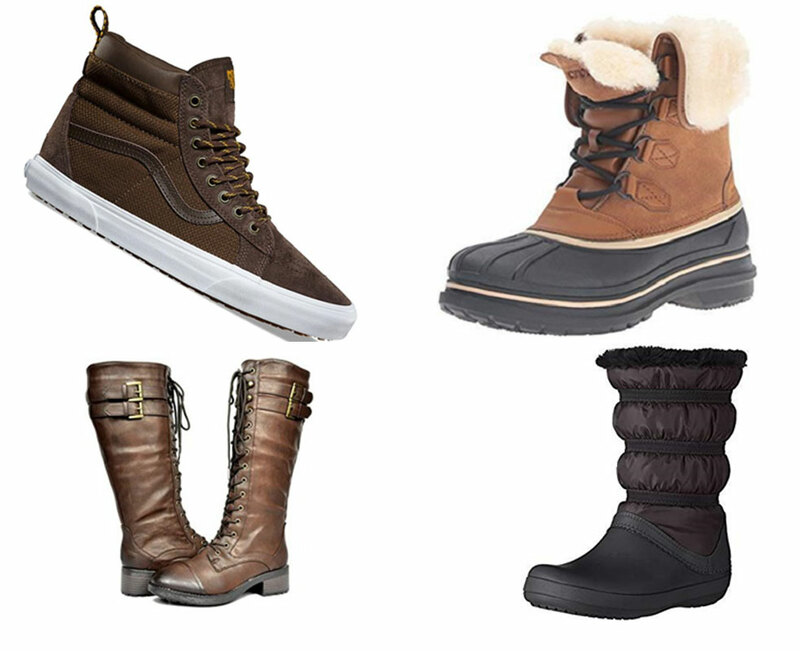 It is a time that requires lots of functional accessories and footwear to keep you insulated against the frost bites while giving you a sleek and classic appearance to any style statement. Of course, your toes and fingers are highly susceptible to frost bites. But to protect your feet and ensure you enjoy the season to its fullest, you need to get a pair of good quality winter footwear or shoes, particularly if you live in cold areas. There are several stylish shoes and footwear in various designs, styles, colors, and materials that you can get to pave the way for you to enjoy this season. Here are 5 of them. 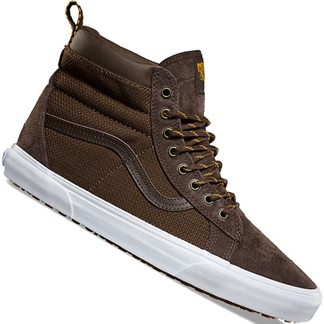 Vans Sk8-Hi sneaker comes with either a suede or leather upper and are both treated with a Scotch guard to keep water out. It features a gusseted tongue to further eliminate any openings in the sneaker’s upper. The sneaker inside is lined with fleece and extra padding for warmth and optimum comfort. It also features a thermal heat-retention layer between the outsole and the sockliner to retain considerable heat within the shoe. Similar to a snow or work boot, Vans Sk8-Hi’s lug design offers firm grip and footing by pushing slush or snow off the side of the outsole rather than allowing it to heap up inside the grip pattern. 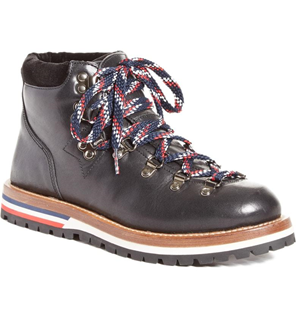 This lightweight boot will keep your feet warm and dry this winter season. In addition to being soft, waterproof and tough on weather, this men’s ALLCast II Boot features a 200-gram insulation to prevent overheating and a gusseted tongue that eliminates openings in the boot upper. 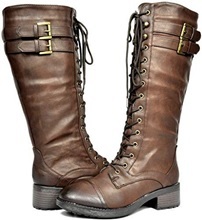 For all-day comfort, this boot also features a faux shearling lining around the collar. 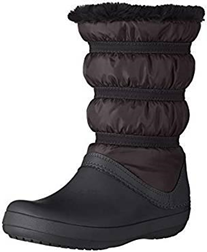 This Women’s Crocband Winter Boot will keep your feet warm and dry this winter season. It is water resistant, lighter than most winter boots, and the boot top can be folded down for a more layered look – just like having two boots in one! Known for its rubber lugged sole style, this top-quality lace-up combat shoe can make you look your best while still protecting you in the harsh winter weather. Featuring a lace fastening, a padded ankle, eyelets, and a low block heel, there is something about this show to suit you. This elegant Faux Fur Lining Combat shoe keeps an embellished easy-to-wear style. 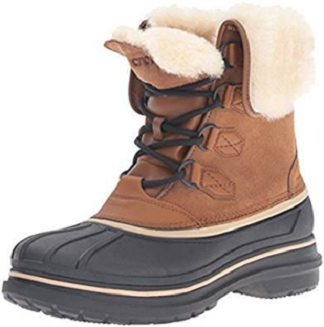 Featuring a lace-up vamp in the front and double buckles around the top, it has an interior side zipper for easy on/off and a fully padded faux fur lining providing your feet with optimum warmth. Winter season is all about being dry, warm and comfy. Prepare for it now before it finally arrives!